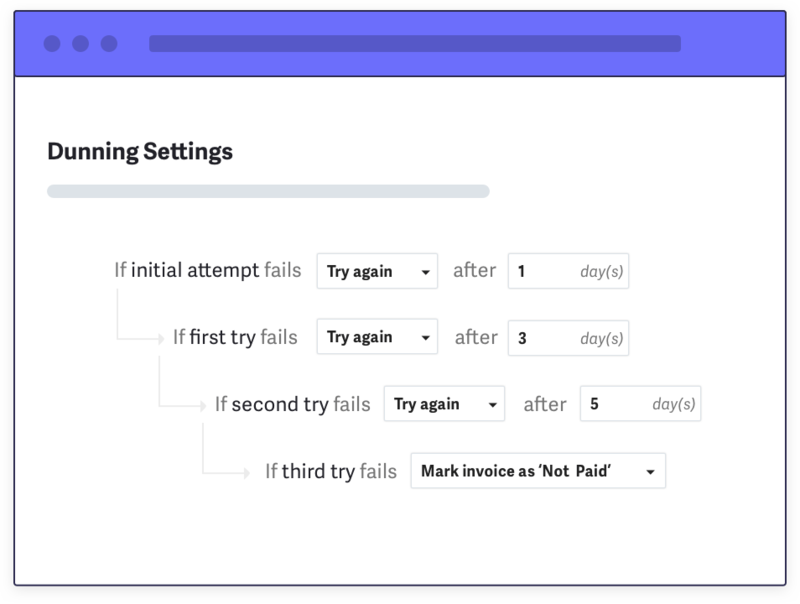 Chargebee helps you send invoices with all the nitty-gritties. Handle every complexity with ease. Manage the entire lifecycle of your subscriptions, create plans & products and view all your subscriptions in one place. While you're at it, invite your entire team to simplify your billing operations. Role based access for subscription management. Sales and Marketing teams can work with complex campaigns without dev help. For ex: With a few clicks you can set up a 20% discount for 6 months, applicable only on a given plan, valid only when the coupon is redeemed before Q3 2017, and limit it to 50 subscriptions. Yup. Easy integration. Enhanced reporting capabilities. Excellent customer support - this is huge considering how deficient many players in the space are when it comes to actually servicing the client post integration. Analytics begets insights begets growth. 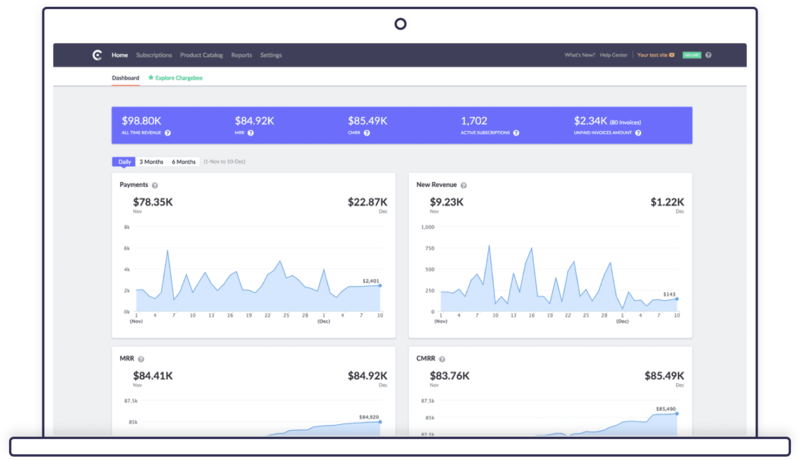 MRR, CMRR, Churn Rate, Signups, Activations, Refunds - you name it; track all of your core SaaS metrics in real-time, right on your dashboard. Want to dig deeper? An exhaustive actionable manual report on the above metrics as well as on ARPU, LTV, Cohorts and more, can be drop-shipped straight to your inbox. Integrations that let finance teams keep the main thing the main thing, and automate the rest. Automatically map everything, close your books with accuracy, and get a grasp of key drivers. Full data sync with both Xero and QuickBooks Online. Finish payment reconciliation in 1/10th of the time. Get access to reports on: A/R Aging, Tax Liability, and other important areas. Like Authorize.Net’s API? You’ll love Chargebee! Intelligent RESTful APIs that change with your users' signup data. And you get to pick your favorite language. With Chargebee, subscription billing and accounting are effortless, efficient, and everything in between. Migrating your customer data (subscriptions and other details) is simple. Just send us a request, and we’ll assist you through the process. 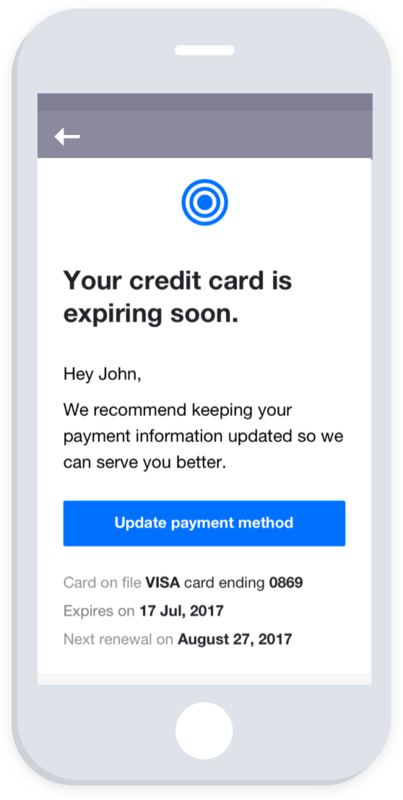 With Chargebee, manage the entire subscription lifecycle. Send recurring invoices with accurate global taxes. Dispatch lifecycle emails in multiple languages. Have enough time to ship delight of all sorts.